In addition, two of our former African-American partners are now federal judges on the U.S. Court of Appeals for the Sixth Circuit and the U.S. District Court for the Southern District of Ohio. Our firm governance also reflects our commitment to diversity. The firm’s Diversity and Inclusion Committee brings together partners and associates to develop and implement strategies for attracting, retaining, and promoting a diverse team of professionals and staff, and to regularly evaluate the effectiveness of those strategies. 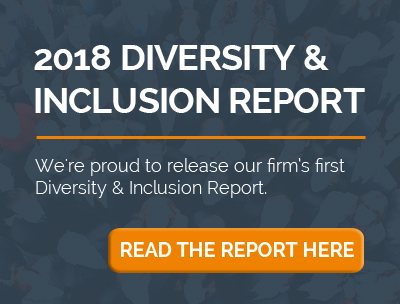 The Diversity and Inclusion Committee works with our firm’s leadership to encourage open dialogue on diversity issues and to maintain an environment in which diversity of all types can flourish. Women and minorities are well represented on the firm’s committees, including the Management Committee and the committees responsible for hiring and evaluating associates.